In many micro-moments, they’re turning to mobile to get all the information and guidance they need. We’ve boiled this fragmented consumer journey down to three major phases—from that initial spark to preparation to the actual cooking. And we’ll serve up some key takeaways for brands that want to reach millennials at the important moments leading up to mealtime. While nearly one-third of millennials say they don’t enjoy choosing what to cook, it certainly doesn’t deter them from being creative. Our research shows that, for a quarter of online millennials, the most important part of cooking is adding a personal touch to make a recipe unique.6 Take food hacks, kitchen tricks that make cooking easier and more fun, for instance. Forty-one percent of the millennials we surveyed are interested in them.6 Popular examples range from coffee hacks to Oreo hacks6. YouTube creator CrazyRussianHacker is a master of the food hack genre. His “Food Life Hacks” playlist—where he teaches his fans how to do everything from cook eggs in the microwave to awesome ways to cut a watermelon—has more than 545K views (at the time of writing). 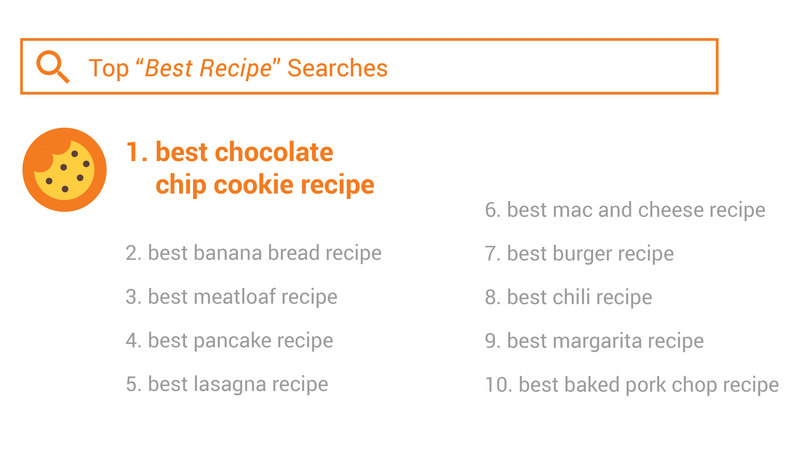 For brands: Tap into millennials’ curiosity—and their broad recipe searches—with specific cooking ideas. Perhaps a hackable salmon recipe in response to a “healthy recipes” search. Turn the stressful experience of deciding what to make for dinner into a fun exploration. Once the evening’s menu is set, the how-do-I-actually-make-it moment strikes, and millennials look for help on Google Search or YouTube. Millennials havesubscribed en masse to food channels on YouTube, and 75% of the growth in viewership is coming from mobile devices.9 How-to content related to food on YouTube is incredibly popular, with 419M views in 2014.10 “How to Cook That” is one of the ten most popular how-to searches on YouTube (behind “how to draw,” “how to kiss,” and “how to tie a tie”).11 It’s also the name of a popularYouTube food channel, where Ann Reardon dishes out whimsical desserts weekly to more than 1.6M fans (at the time of writing). For brands: Be there during the discovery and consideration stages. It’s not just about your product, but what millennials can do with that ingredient or tool. Help them develop the techniques required to make interesting meals with your product. In the kitchen, the am-I-making-this-right moments strike, and millennials search for guidance. 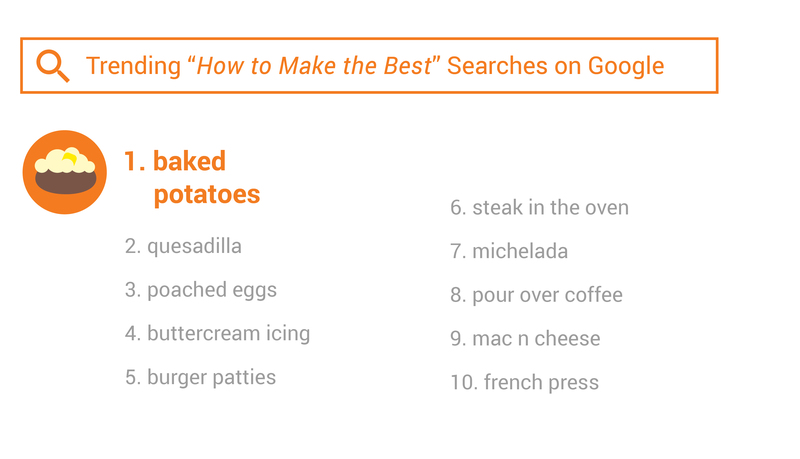 Questions like “What temperature to bake chicken?” are increasingly asked from mobile devices (see chart), and 68% of millennial moms said that they also watch videos while cooking.9 And if hands are occupied, voice search becomes indispensable: Twenty-three percent of adultsuse it while cooking. Now, where are the dinner guests? More than likely, they’re in the kitchen, too. Millennials aren’t cooking alone; 27% said they were likely to be sharing the experience with a spouse, friend, or child.1 This is helping millennials see cooking as an opportunity to spend quality time with family and friends, not as a chore—something Kraft has seen. “For Kraft, we believe it’s about not only asking what we can do to help consumers create a better dish—but what we can do to help consumers achieve a better experience across the board,” says mcgarrybowen’s Conroy. 4 Google Search Data, January–December 2014, United States. 5 Google Trends, January–May 2014 and January–May 2015, United States. 10 YouTube Data, 2014, United States. Classification as a “how to” video was based on public data such as headlines, tags, etc., and may not account for every “how to” instructional video available on YouTube. 11 YouTube Data, 2015, United States. 12 Google Trends, January 2013–May 2015, United States.